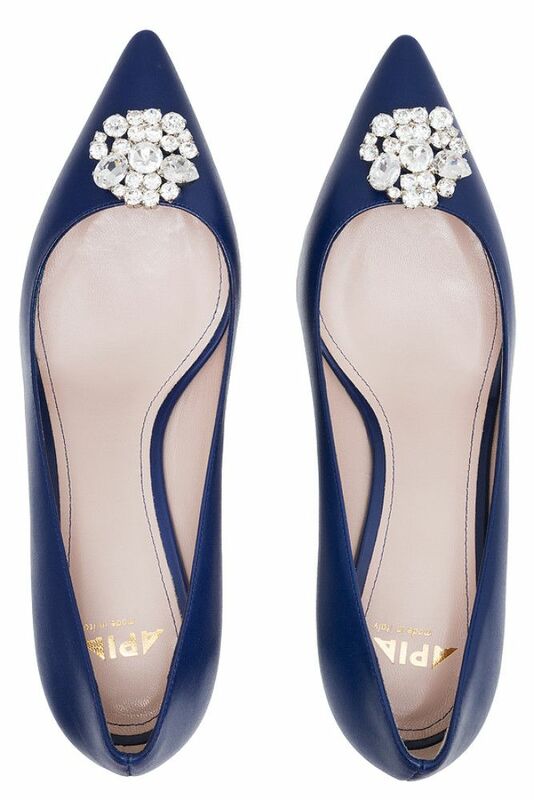 Navy blue stilettos with a jewellery-like ornament on the toe. 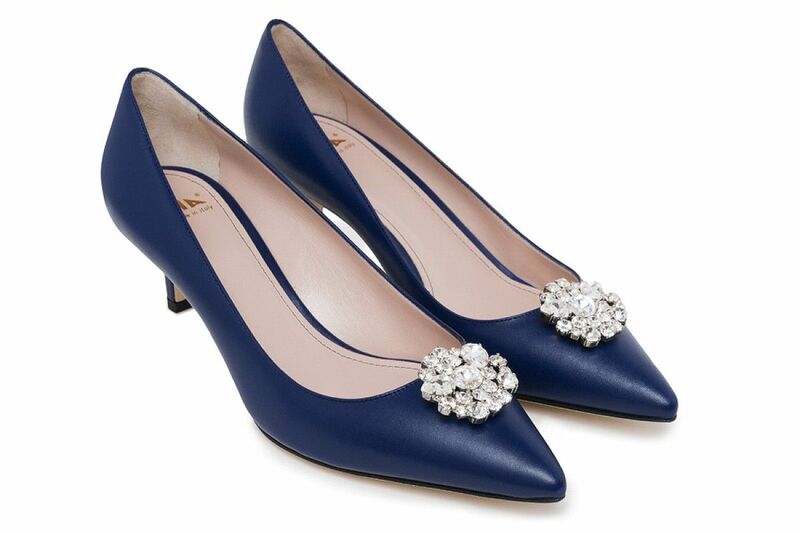 Extremely feminine court shoes inspired by the '50s. 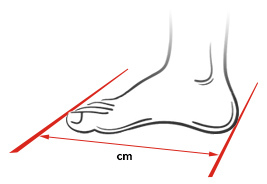 Neat stilettos on a low 5-centimetre heel. 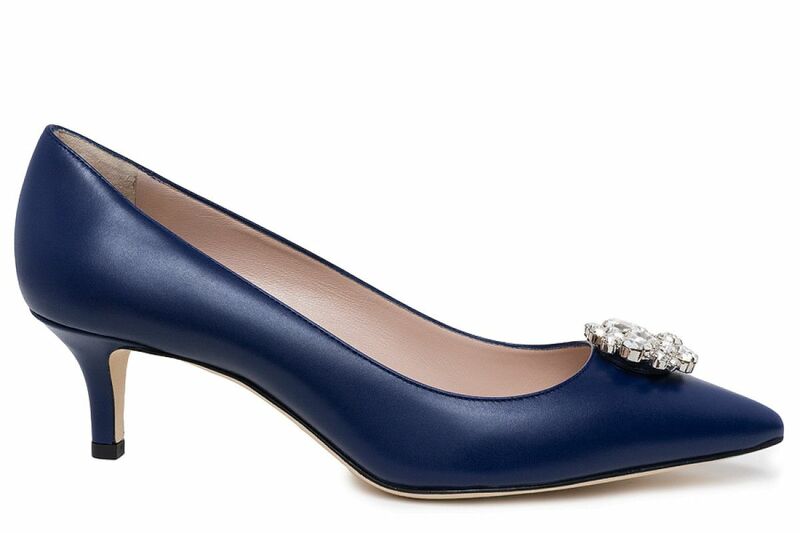 Stunning, glossy ornament on the toe made of luxurious Swarovski crystals. 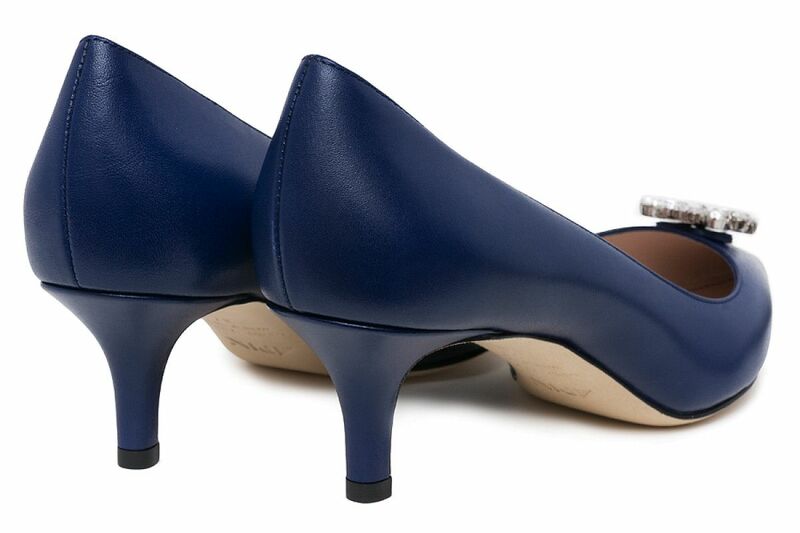 Smart leather stilettos that will be perfect for special occasions as well as casual outings. 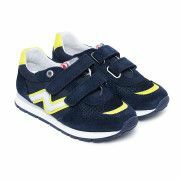 Excellent shoes for women who like to look elegant and feel comfortable. 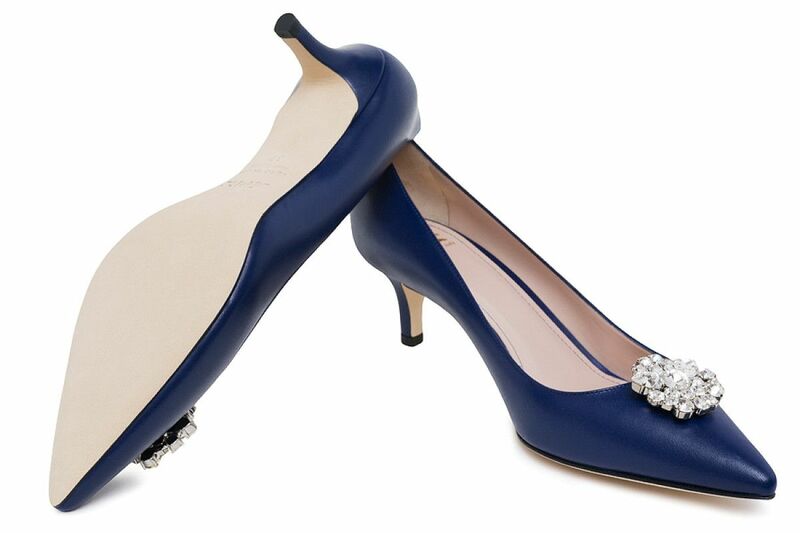 Trendy stilettos that look great paired with dresses, skirts or cropped pants. 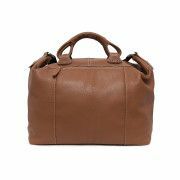 Also a perfect addition to flared dresses and trendy pleated skirts.